Peter King Mitsubishi and Mitsubishi Motors Australia approached us to help bring the dealership to the customer like never before. Inside the Westfield Shopping Centre at Geelong, a vehicle showroom was created that gave customers the opportunity to experience the Mitsubishi range without having the pressures of a traditional automotive retail environment. The showroom was decked with digital and interactive exhibitions, including a custom-built VR experience. Since its inception, the showroom has generated plenty of interest and foot traffic with positive inquiry levels assisting in a market share increase for the region in an otherwise flat market. This activity provided users with key touring locations they could visit from the surrounding regions. As part of the experience, users could find exclusive offers and enter the draw to win their very own adventure. 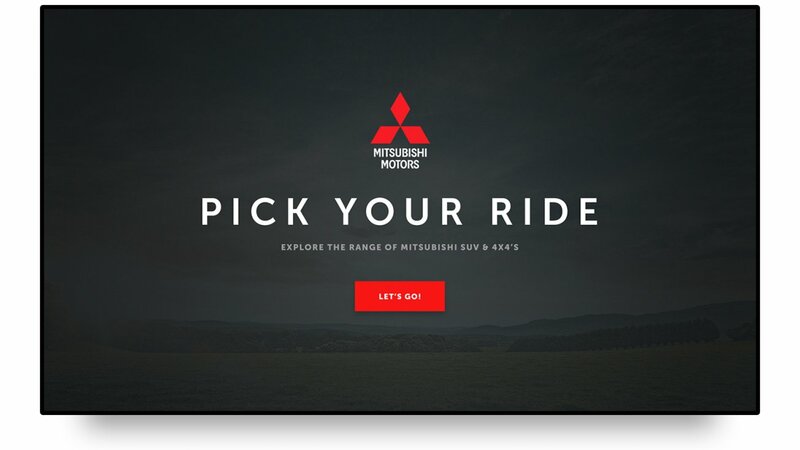 A custom built web application experience for touch screen displays, allowing users to quickly obtain key information about the vehicles within the Mitsubishi range. 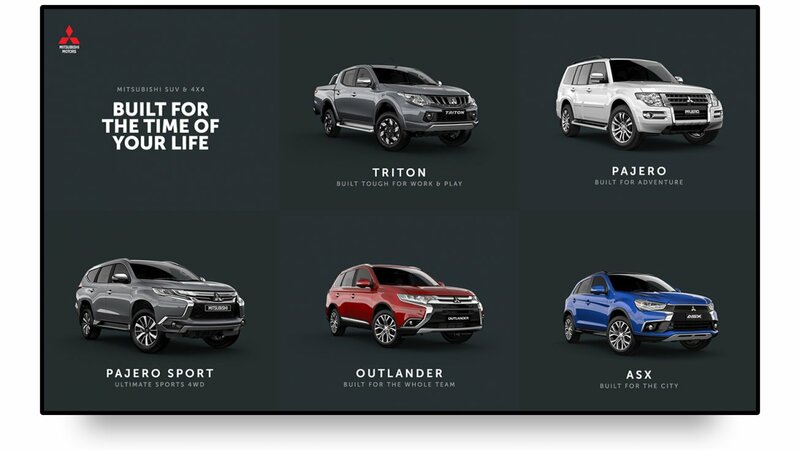 This experience was developed & optimized for third party external media devices, and dynamically obtains information from the Mitsubishi website.